If you want an explanation for the length of this list, see 2002: An important year in music for the 2000s. This 2002 list has gone through a few ranking changes and added even more titles. I picked up Original Pirate Material for $1 at Lifelong Thrift Shop, and now I understand why it was all over the place in 2002. I couldn’t open a music magazine without seeing Mike Skinner mentioned in it. I’m pretty sure the sample of Dvorak’s Symphony No. 9 sealed my admiration for the album. 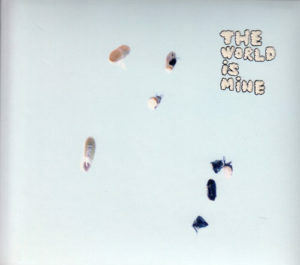 THE WORLD IS MINE is something of a mea culpa. At the time of its release, I recognized the album as being Quruli’s most complex, but I just couldn’t get into it. I probably felt that it didn’t go far enough if it was going to be ambitious. Well, the joke’s on me. I listened to it again before its reissue on vinyl, and I really dug it, much more than Antenna, which I praised effusively at the time. So it knocked Minako’s one and only album off the Favorite 10. UA also had to make room for the Streets. The extended list includes albums I originally dismissed: Murray Street by Sonic Youth and One Beat by Sleater-Kinney. I remember stocking Nappy Roots during my shifts at Waterloo Records and wondering what the big deal was. A $1 copy from Lifelong Thrift Shop 16 years later educated me. I probably wouldn’t have been exposed to Nappy Roots, The Decemberists or ISIS without having worked at Waterloo. Barely two weeks into 2015, and the release schedule for the rest of the first quarter looks incredibly busy. Some of them are Musicwhore.org favorites, and others ought to be. 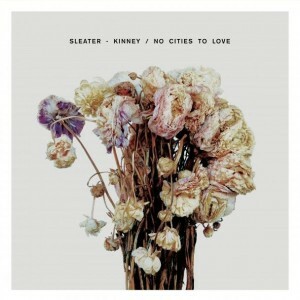 NPR First Listen has featured No Cities to Love in this week before the album’s release, and damn if it doesn’t sound like Sleater-Kinney never went away. It’s probably too much to ask for this album to be the best R.E.M. has recorded since splitting up. For an ’80s radio pop album, Exposure is pretty enduring. A deluxe edition, though, means endless remixes of the album’s four hit singles. Cindy Wilson’s absence was sorely felt on the B-52’s Good Stuff, the follow-up to the massive hit Cosmic Thing. So it’ll be interesting to hear how Kate Pierson sounds without the rest of the band around her. That’s the question with only Andy Gill as the only remaining original member of the band. Post-Tokyo Jihen Shiina Ringo has been sparse with new music, but with a new single arriving barely three months after an album, does this mean the drought has ended? I’m so past hoping this album is anywhere within league of Like a Prayer, Ray of Light or, heck, even Bedtime Stories. MDNA was just plain forgettable. Now, that’s a quick turn-around. Chris Walla is no longer with the band and consequently no longer at the producer’s desk. Codes and Keys is the closest Death Cab has reached to the sublimity of The Photo Album or Transatlanticism since signing to a major label. So this album is pretty much make-or-break. The most interesting aspect of this announcement, for me, is the silence from Nonesuch Records regarding its release. On my list of Albums I Want Reissued on Vinyl, Bee Thousand resides in the upper echelon. Previous entries on said list included The Woods by Sleater-Kinney, The Photo Album by Death Cab for Cutie, the self-titled Metallica album and Floating Into the Night by Julee Cruise. All these titles appeared in 2014. I’m also holding out hope for a Takk … reissue. All of LOVE PSYCHEDELICO’s albums are getting a vinyl reissue to coincide with a pair of retrospectives coming out the same day. ABBOT KINNEY, however, is the duo’s best.